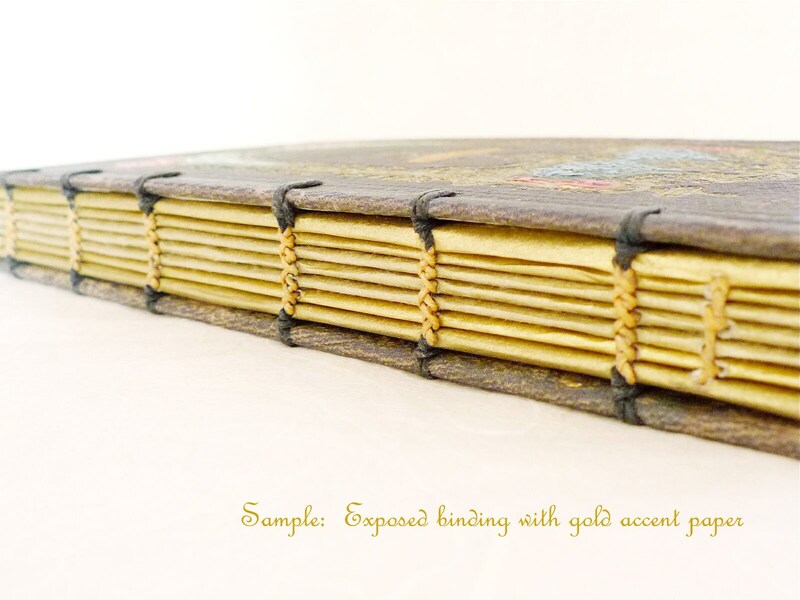 This option adds luxurious handmade gold Lokta paper to a Spellbinderie guest book, scrapbook or journal order. Rather than leave the ivory paper exposed on the spine, this option gives a more finished, elegant look. Please note this listing is an upgrade only, please do not purchase unless you are ordering a book from the shop. 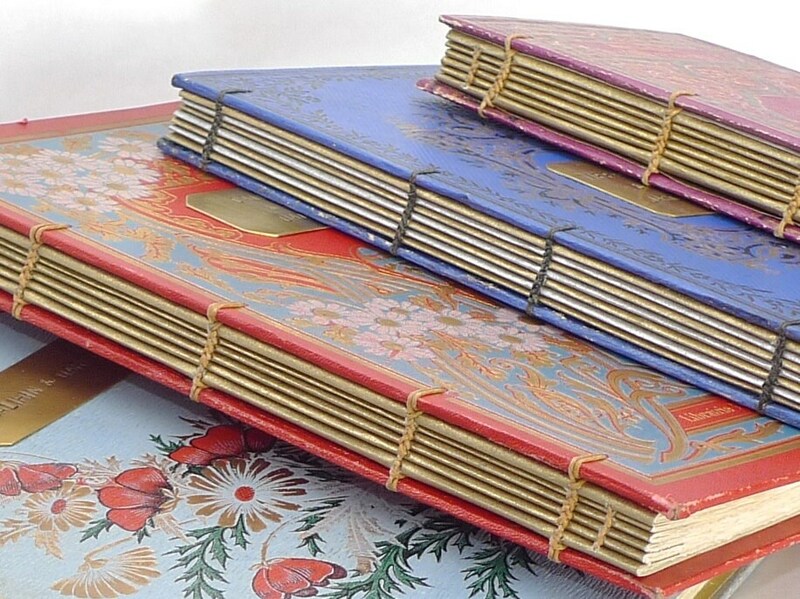 For the first and last section of your book, a full sheet of gold Lokta paper will be wrapped around the spine edge to create a first and last page. 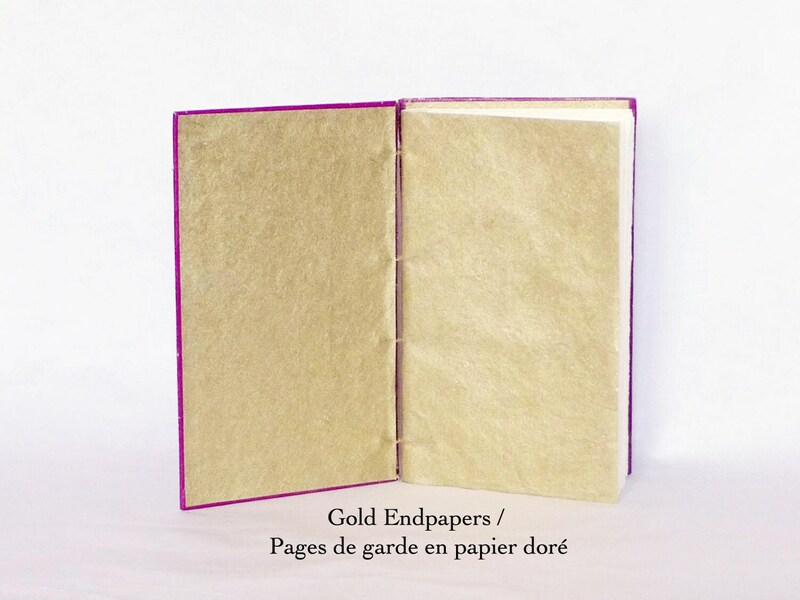 A full sheet of gold paper is also used to line the inside of the cover. These sheets are called endpapers, see the 2nd sample photo. 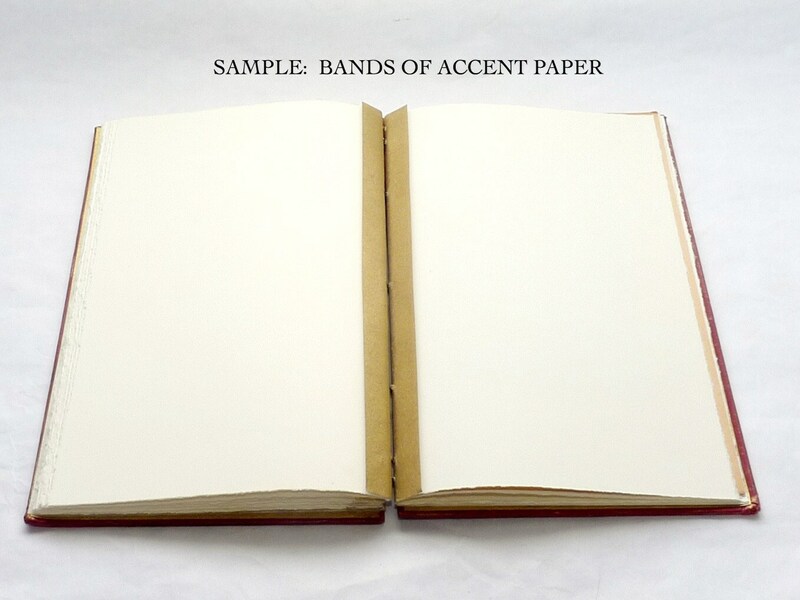 The remaining sections have bands of accent paper, approximately 2 - 2.5 cm wide, wrapped around the spine edge. These bands will be seen approximately every 20 pages within the book. Books have 6 - 12 sections depending on page count and other factors. See 3rd sample photo to see how the bands look inside. Handmade in Nepal from the fibrous inner bark of high elevation evergreen shrubs. Environmentally sustainable, socially responsible, made predominately by women. All that and it's durable too! Pricing provided is for standard to oversized books. For small books, please contact me for a custom listing to receive a discount.